BioWare ensures us that Anthem's endgame will be suitably robust. 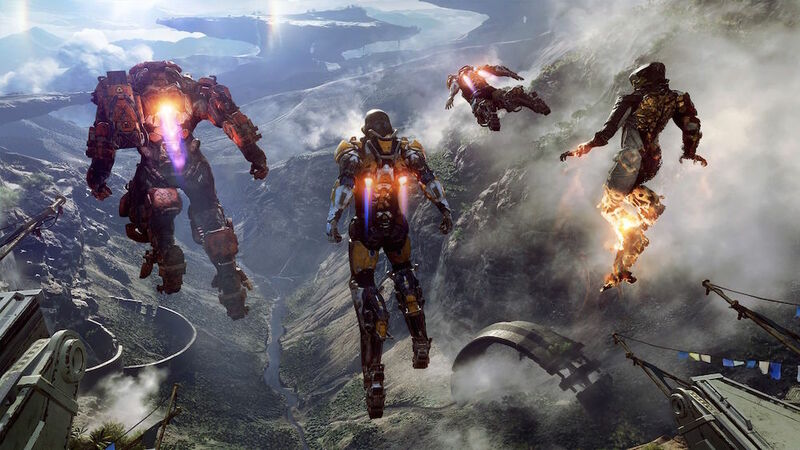 The new launch trailer for Electronic Arts (EA) and BioWare's upcoming video game Anthem has been released, telling players to unleash your power as you suit up in one of four javelins and take on a world of danger. "They're created to be more seasonal", executive producer Mark Darrah said to GamesRadar of the event. Today, the first hint of just what sort of endgame loot, missions, and game-changing events we'll experience arrived in the form of a new video. Strongholds represent some of the longest and most hard challenges in Anthem, and players will need to assemble a team to tackle them. You'll also find cataclysms, which are time-limited world events. For more on Anthem, be sure to check out a breakdown of what Anthem's Endgame content will look like from a gameplay perspective, as well as 10 minutes of a Legendary Contract on Anthem's challenging Grandmaster I difficulty. You can customize them with the gear you earn and craft, then use them to fly, leap, and climb through a contiguous open world. To start, three extra difficulty modes will be unlocked once you reach pilot level 30, the game's level cap. At this point, players will be able to take part in daily, weekly, and monthly challenges, and unlock "Anthem's" Grand master, Grand Master 2, and Grand Master 3 difficulty tiers. Challenges will award you with coins and crafting materials, while strongholds are team-required missions with some of the biggest rewards.